BEEN ON SCRATCH FOR A YEAR NOW!! FOLLOW ME TO CELEBRATE!! Girl // Single // KOTLC // SOKEEFE // F4F? Maybe // Cats // Music // Nightcore // Art // 150+ followers! BEEN ON SCRATCH FOR A YEAR NOW!! FOLLOW ME TO CELEBRATE!! YAY! 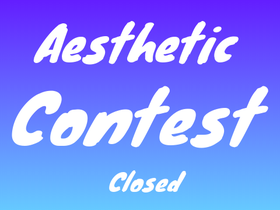 OPEN Aesthetic Contest!!! PLZ Join! MY ART!!! and some of my other stuff! !